Hey, Look! New fabric and prewashing tips. I couldn’t wait to take off my nasty polyester work blouse today, and the thought of wearing polyester through another summer was not sounding too appealing. I decided I would make a quick top, out of a natural fiber, of course. I haven’t tried this pattern before. In fact, I just bought it today. I’m taking a chance, though, because this cotton garment fabric, which is an odd waffle-weave-ish sort of number, only cost $3 a yard. That’s cheaper than muslin. Due to my not realizing that my fabric was actually 60″ wide, I have enough to make any of the views. I think, though, that I will probably stick with C, which was the one I first intended. Of course, the fabric must be prewashed. It is swishing around as I write. I have a very strict idea about prewashing. Although most people prewash in the same manner that the fabric is intended to be washed, I always assume that the shirt that I never want to throw in the dryer will end up tumbling with jeans on high for an hour at some point. If I have put any significant time into making it, I want to be sure that it is not a wadder after that point. Prewashing, therefore, is my way of inflicting prophylactic abuse on my garment. Even if it never sees a dryer again, I won’t have to worry about getting that sinking feeling when I fold the laundry and find it there with the towels. Oh, and a little tip: You know that horrible twisted mess that you often get when prewashing fabric? That can be somewhat avoided by sewing the cut edges together before washing. The nasty raveled thread nests can also be somewhat avoided by clipping a little bit of each raw corner before washing. I learned those tips many years ago from somebody on a sewing list, and they have served me very well. 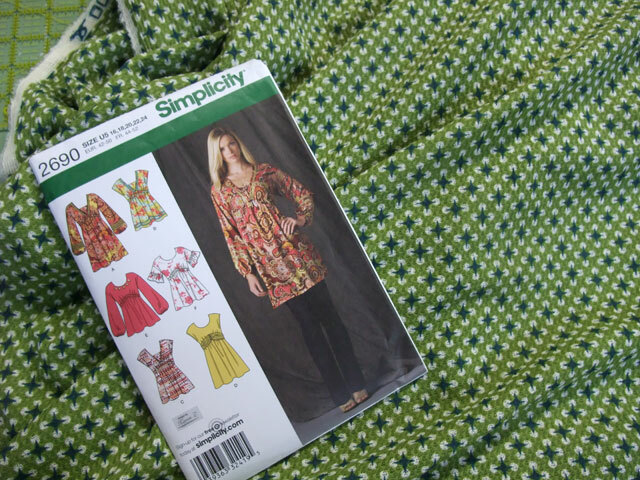 This entry was posted in Clothing, sewing and tagged Clothing, postaday2011, Sew, sewing, tips. Bookmark the permalink.